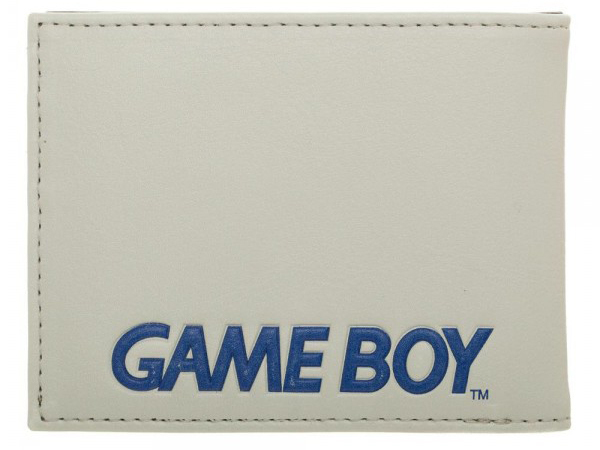 This Nintendo Game Boy bi-fold wallet is way easier to slip into your back pocket than an actual Game Boy—those things were huge! 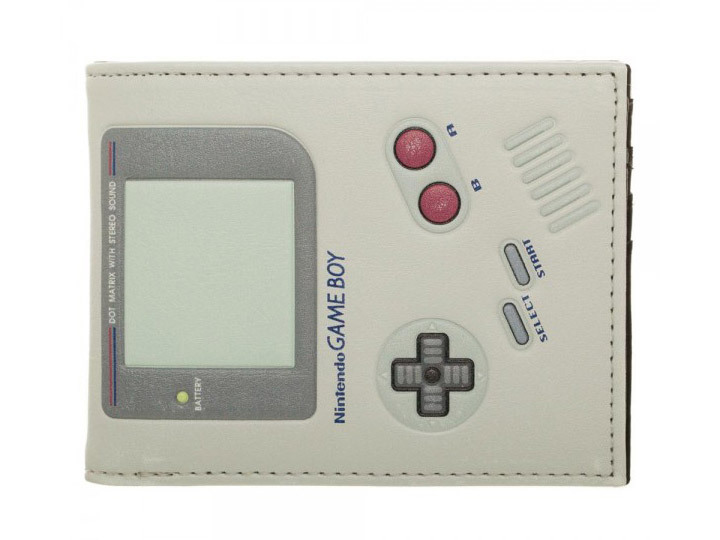 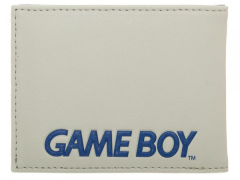 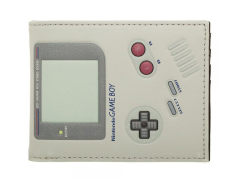 The front of the wallet is appliqued to look just like a Game Boy, screen, buttons, speaker vents and all, with the Game Boy logo embossed in blue on the back. 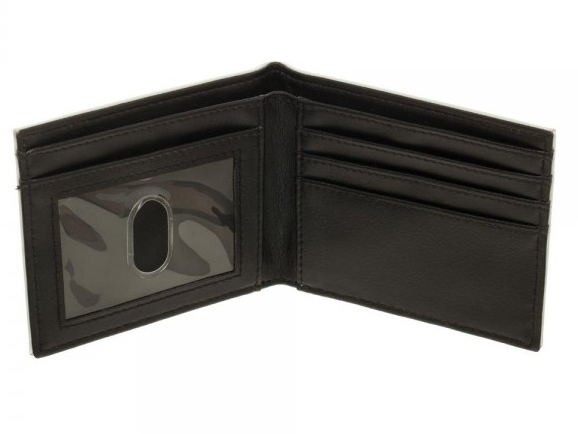 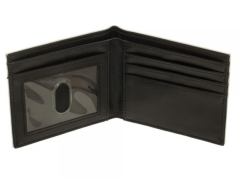 The wallet opens to reveal 3 horizontal card pockets, 2 vertical card pcokets, 1 full-size currency compartment, and a transparent ID window.